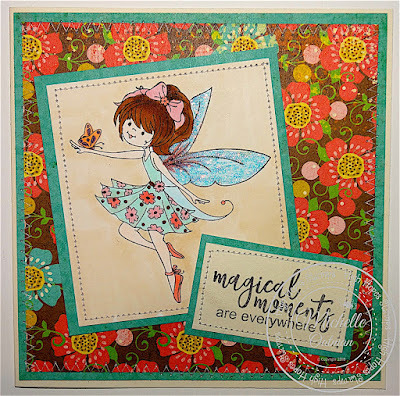 Howdy - MichelleO today and I have a little more magic from High Hopes Stamps today! 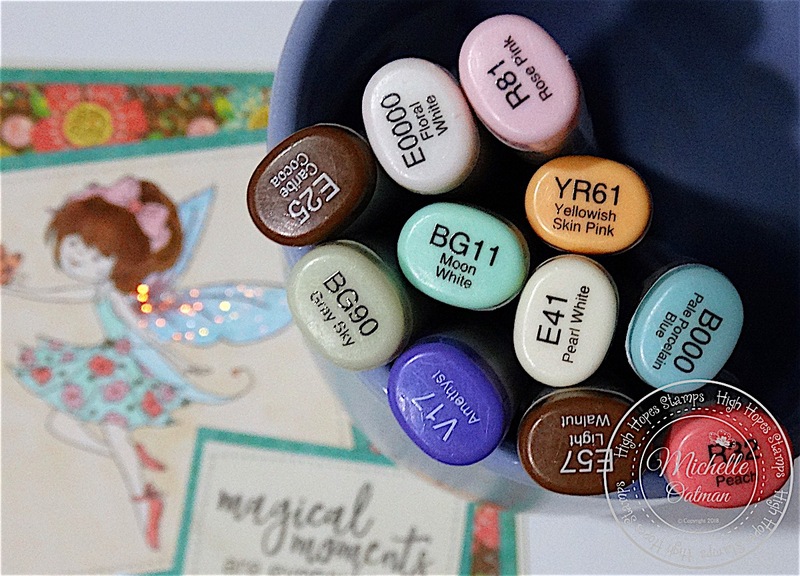 Today we have "Butterfly Fairy" Such a pretty little fairy! Now honestly I had intended to go soft and sweet with a light pink color... but then I saw this pattern paper in my stash from EchoPapers and suddenly she need to be bright and bold! Love double sided papers too cuz it all matches so well. I colored with my copics (colors below) I sewed down the layers and added the new High Hopes Stamps sentiment "Magical Moments are Everywhere" To finish it off lots of stickles on those wings... cuz Fairies just have to have LOTS of bling and sparkle! Thanks so much - Visit the Website HERE and see all the magic!